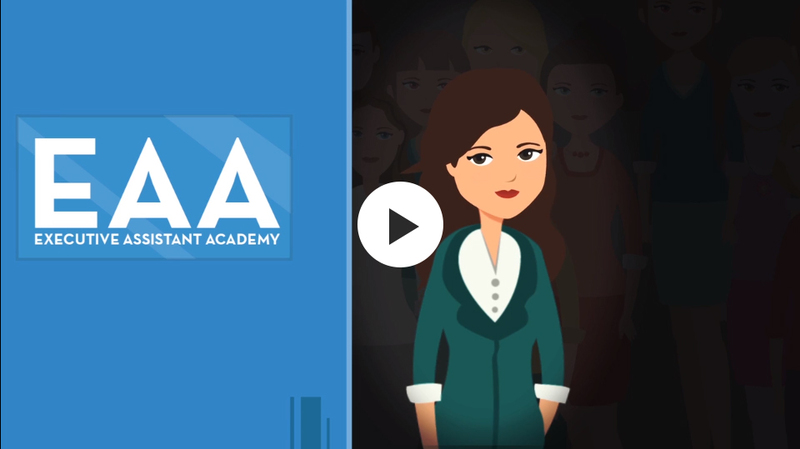 Video - Why do an EAA Diploma? 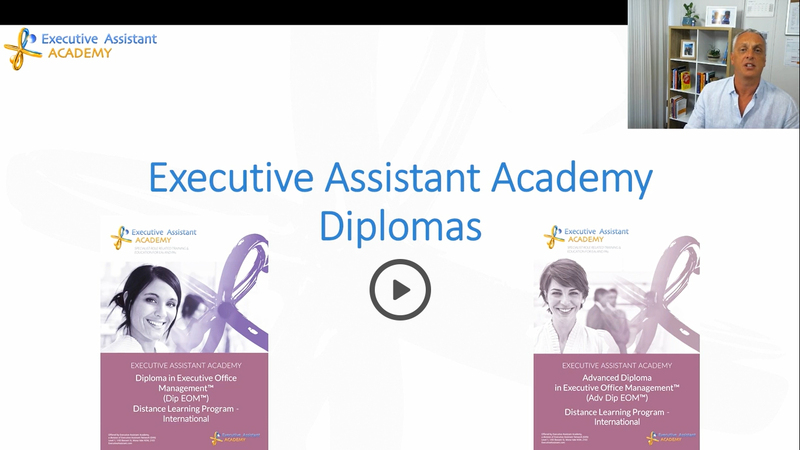 Video - What does an EAA Diploma involve? The Only Role Specific EA Diploma Qualifications - Where is Your Career Headed? Attain an industry recognised qualification to help your career progression and to provide you with vital new insights, skills and knowledge that will ensure you are working alongside your executive in the most productive and effective manner. The essence of the EA or PA role is to manage the office of their executive in a manner that facilitates them being as productive and effective as possible. This key facet is at the core of our training and development – and is reflected in the titles of our qualifications. EAs and PAs comprise a significant part of the global workforce, but prior to now, no formal qualifications have existed that were designed to address the specific needs of EAs and PAs at different stages in their careers and with this simple business premise at the core of the learning. Our two-tiered qualifications are different and have been devised after many years of extensive research within this area and are specifically designed to ensure that they meet the changing needs of EAs & PAs, their executives and their broader organisations in relation to skills, knowledge, business acumen, and personal development. Irrespective of what stage you are at in your career, or even if you are hoping to break into a career as an EA or PA, we have a qualification suitable for you. Unlike generalist business or management qualifications, ours are fully role specific, and have been designed around what EAs and PAs actually do or are expected to do. If you want to undertake study that is 100% relevant to your career as an EA or PA, no other industry recognised qualifications exist that can assist you at any stage in your career. And as thought leaders regarding the ongoing evolution of the EA or PA role, our qualifications will always remain at the forefront in terms of what is being expected in modern businesses. Created to meet demand from students in regional or remote areas of Australia, as well as those living in countries outside of Australia, our Distance Learning Diploma Programs are designed to ensure that students can attain the exact same qualifications as those undertaking classroom based study, working at their own pace but with additional support and assistance from Academy staff and other diploma students. Including the exact same modules and workbooks and the same assessments and projects, and delivered over the same period of time, students can feel sure they are receiving not just the same qualification, but also the same level of education and training. For more information please view the dedicated distance learning brochures contained on the pages of the relevant qualification detailed below. Representing over 7,500 EAs and PAs nationally and internationally, and connected to more than 30,000 others internationally, Executive Assistant Network, through Executive Assistant Academy, is uniquely placed to not only offer qualifications others lack the industry and role based knowledge and understanding to deliver, but also to ensure that they are recognised within the broader business community, both in Australia and across the world, for their unique, role specific benefits, for their intellectual and academic rigour, and also for their practical relevance. Hundreds of students have already either completed an Executive Assistant Academy qualification or are presently still studying. Our goal is to ensure that our pathway qualifications are not merely just industry recognised, but are also recognised as the industry standard.